Note: for total novices, best place to start with EEG is short intro on How EEG Machine is Made. It even doesn’t need a mention – because it’s most popular of the EEG hardware designs, everyone who searches for DIY EEG will get it in top results. This device has 6 channels but can be expanded to 16. ModularEEG is good design to start from but now, as technology advances, it’s getting older and older. Here are designs that are more up-to-date. A 2-channel biometric signal amplifier for EEG and other biological signal processing. This design beats ModularEEG in several aspects, but a bit more difficult to build. CEEGALS stands for CogniPve Electroencephalography AcquisiPon Laboratory System. 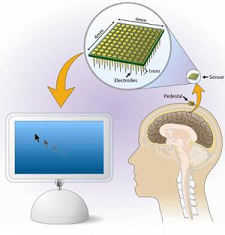 This update to ModularEEG allows to wirelessly transfer EEG signals from head to computer. Don’t click the link: site is under construction and contains almost no useful info yet. Instead, check here for some details about the project. Site contains schematics for several designs: Single Channel FM Unit, Two Channel AM Unit, Two Channel FM Unit, Four Channel AM Unit (advanced design), Four Channel Multiplexed AM EEG Unit & Eight Channel EEG Unit. Additional info about this project is on OpenEEG website. 5 Responses to "DIY EEG Devices or Cheap EEG – 2"
I have the older modular eeg boards but need some help on the wiring and assembly. don’t know were to begin on the active electrodes since in the schematics they are using old parts references, i only have fri’s electronics and radio shack around here. You can subscribe to OpenEEG mailing list https://lists.sourceforge.net/lists/listinfo/openeeg-list and send your question to this list – there are hardware experts (and I’m more software oriented) and I’m sure you will get help. Alexandra, hi. Thanks for your cool blog. Recently have been looking into the KT88. Below is a recent email I sent to the OpenEEG founders, and it contains a link to yet another DIY EEG amp board, 12 channel, looks like a nice design; simple serial interface. 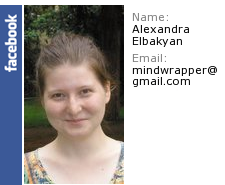 I believe you are one of the founders of the OpenEEG project, is that correct? Is it possible that the OpenEEG pages could refer / link out to other open projects offering EEG solutions? Your wiki would be a good place for such info, but I see the link to this is down from your home page. Appears to be permanently dead, I’ve tried on several different days. I acknowledge the original OpenEEG hardware developments, but it would be great to have a clearinghouse for all the independently developed new solutions that are coming along. Teunis did announce this on your list in January 2010, but this kind of info really belongs on your main site or a wiki. I believe you want to maximize the creative synergies possible with all the various hardware / software talent working in these areas.